I would like to make some control horns the same as the FT guys make, would anyone happen to have a template of these I can print out and use? I found something in this post http://forum.flitetest.com/showthread.php?4763-Control-horns-template/page2 but I was looking for the exact size the FT guys use to make it easier. I would order some but I live in the Czech Republic and it will cost $15 to get some delivered here from the US. I have a link chad gave me so let me find it. It might not be on the computer i am using at work but I have it somewhere. Someone might beat me to it. Cool, many thanks CrashRecovery I would greatly appreciate it. Here's what I use... I used the monster plans control horn as a guide. thanks very much. So are these the same size as the ones used by the FT guys? How do I print them out at the 1:1 size? I downloaded a portable app called LibreCAD, should I just print them from there and they will come out the correct size? I have a small collection of user made control horns that were posted in the forums. I have no idea which one are closest to the "original"
Thanks Balu, this could be very helpful. I will see what I can get with what you guys provided me so far. If anyone happens to have the actual template from the FT guys I would greatly appreciate it. I used LibreCAD to create the template, and there's a 1" scale in there to verify the correct dimensions. When you print from LibreCAD, there's a 1:1 option. 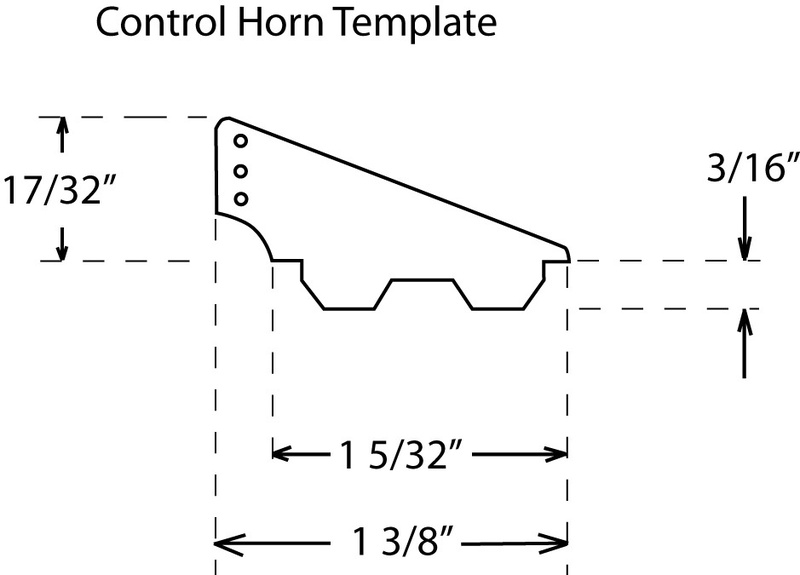 I've never purchased the FT Control horn, but the template fits the control horn cutout in the free plans (about 1"), and the vertical geometry matches standard 9g servo arms (holes are same distance from center hinge). I created this template using Abobe Illustrator, and I'm confident it's almost exactly the same as the laser cut version from Flite Test. I hope this helps you and good luck! thanks very much for your replies. I think I am in a good shape with all the templates you provided, many thanks. @ Derek, I managed to print your templates out from LibreCAD and they look like they fit perfectly. If you don't mind I will put them into a PDF and post them here so anyone can print them without needing/installing LibreCAD. thanks again to everyone for their help on this post. I have taken Derek's LibreCAD file and converted it to PDF so that you don't need to use LibreCAD to view it. I printed it out from PDF and it looks to come out at the 1:1 scale. What are you guys using to cut these out of? still the 1/4" hobby plywood? I have been watching some of the experimental airlines videos and noticed that he used a lot of plastic gift cards in his builds and was wondering if that would be a better option. However, with the thiner, non-porous material, they might not stick as well as the ply. I just switched my hot glue sticks to some Stanley brand dual temp sticks that I found at Home Depot and they stick to anything. Now I just need to find a source for old gift cards and I'll be in business. I just wanted to say thanks to you guys for the plans. 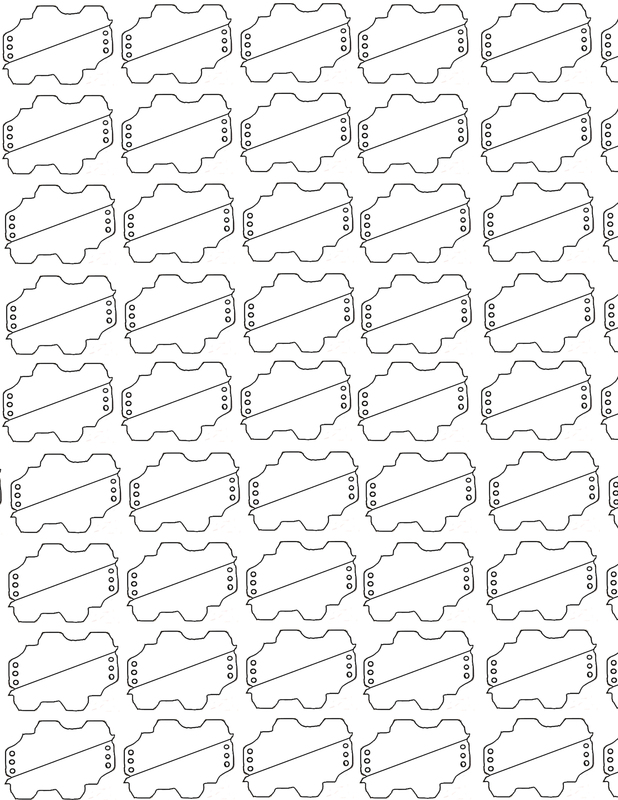 I isolated one of the control horns from the DXF and made a nested sheet, to cut 36 of these guys from a scrap or 1.5mm CF I had from cutting a sheet of frames. They are going to work perfectly! If anyone is interested in the single horn DXF I attached it in a .zip file. Again, big thanks to you guys for the foundation work.